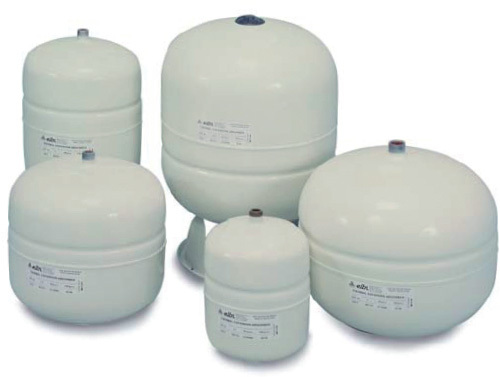 The XT-XTV Series diaphragm expansion tanks are available in sizes from 2 to 132 gallons in either in-line or stand models (see chart). 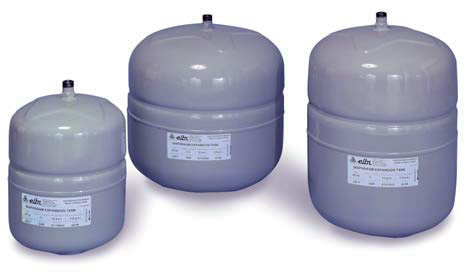 Designed and manufactured by Elbi since 1975, the XT-XTV Series expansion tanks are solid and have proven reliable in millions of installations worldwide. 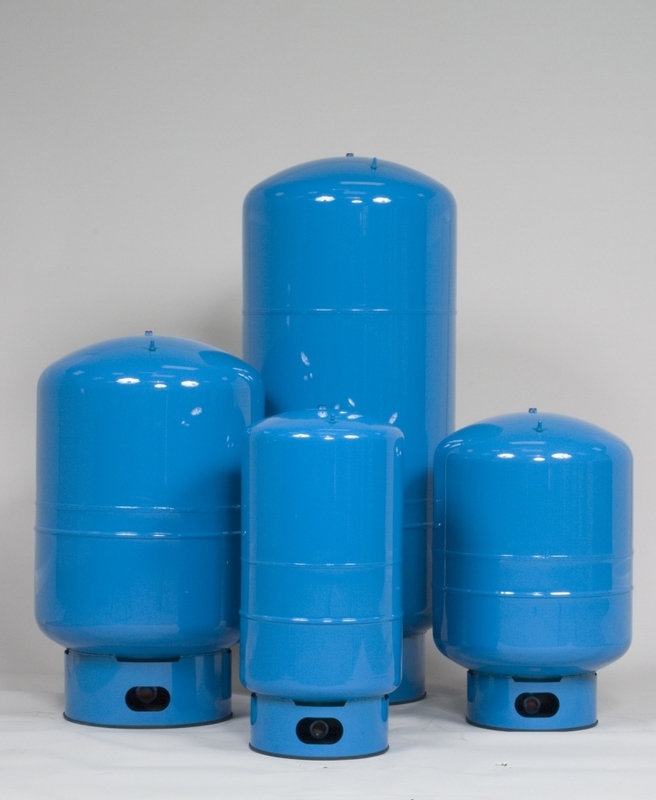 The two shell welded construction allows the tank to withstand high pressure ratings and therefore adds safety to your system. The BUTYL diaphragm separates the air from the water and prevents waterlogging while saving space and energy. Product is intended for use in hot water, solar and cooling systems and is compatible with glycol only. The XT/XTV Series are NOT suitable for domestic installation! Call our factory for compatibility and suitability in special applications. ELBI DWT Series of Hydro-pneumatic water well tanks represent the latest development in well tank technology and comes with a true deep-drawn design with one single body weld which gives it reliability, lightness and efficiency. There are no inner domes to limit the diaphragms expansion, therefore, the maximum drawdown can be obtained in all conditions. our tanks feature a food gade Polypropylene liner . The Food Grade Polypropylene liner is tested against ASTM standards for perfect adhesion. All Units are NSF61 and IAPMO certified. The DXT Series diaphragm thermal expansion tank is designed for use in domestic system installations for sanitary hot water applications. 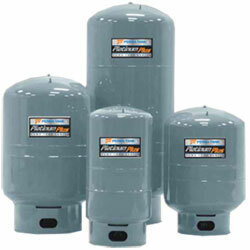 The tank is installed in systems equipped with a backflow preventer or as an add-on to direct or indirect water heaters. The tank’s function is to absorb the increased volume of water which results from the heating process, thereby keeping the system’s pressure below the relief valve settings. The tanks are available in sizes from 2 to 21 gallons. The heavy duty butyl diaphragm is designed to provide a permanent separation of the water from the air cushion. The exclusive plastic liner and stainless steel connection ensures effective protection against corrosion and allows the product to be safely used in domestic hot water systems. The installation of a DXT tank in any of the above mentioned systems reduces the system’s operating costs and prevents unnecessary relief valve operation. Unit is NSF61 and IAPMO certified.